Pick a trail and Go Wyoming. Get your golf game on! Nine & 18-hole adventures begin here. Get your copy and come explore our region. 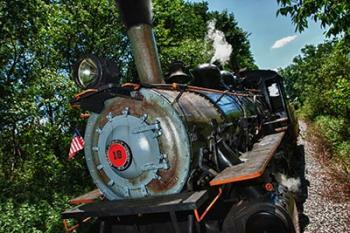 Come see what we have to offer all year round in Wyoming County NY! Wyoming County - A County Of Bounty! Find the best places to visit in our region and plan your next trip! Request a free 2019 Wyoming County Visitor Guide - and begin your adventure now! 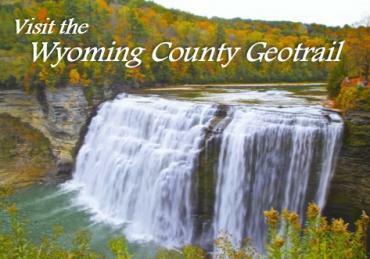 Explore Wyoming County's Geocaching Trail - where adventure and excitement await you in this county-wide treasure hunt! 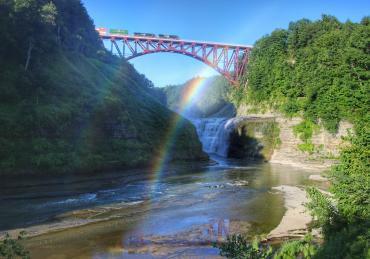 Known as the "Grand Canyon of the East", Letchworth State Park was the winner of the 2015 USA Today Readers' Choice Award for Best State Park in the United States! Wyoming County is a four season destination! Hiking, hunting, hot air ballooning. Camping, craft shows, cross-country skiing. 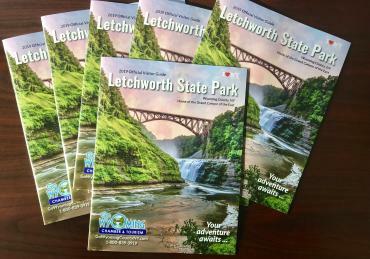 From Letchworth State Park - the “Grand Canyon of the East” and the historic Arcade and Attica Railroad, to the exotic animals at Hidden Valley Animal Adventure, Wyoming County in Western NY is a year-round tourism destination! The Wyoming County Chamber and Tourism is pleased to announce the 2019 Agri-Palooza will be held at Sivue Farms, 2520 Pee Dee Road, North Java, NY. This is the 9th year of the award-winning daylong Sunday event, which highlights agriculture in Wyoming County and welcomes the public to spend the day on a working farm. The free event takes place on Sunday, June 9, 2019 from Noon until 4:00 PM.